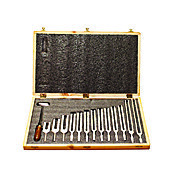 Tuning forks made from alluminum alloy. The frequency and leter scale is stamped on each fork. 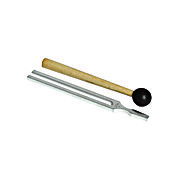 Specially constructed hammers for sounding tuning forks. TFWHAM has a spherical hard rubber head on a varnished hardwood handle. TFHAMR has an acrylic head with a rubber end mounted on a metal/wooden handle. 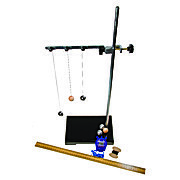 Discover the science of music with the tuning fork and striker set. 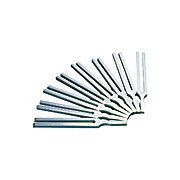 The 256 Hz tuning fork is made of high-quality aluminum alloy and has been accurately calibrated. 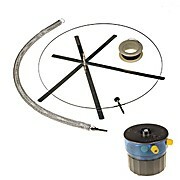 A rubber hammer striker for sounding the tuning fork is included. The resonance frequency is stamped on the tuning fork. 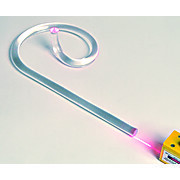 Excellent tool for demonstrating the principle of fiber optics. 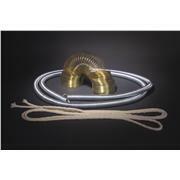 The curled clear acrylic rod conducts light by internal reflection. 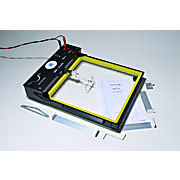 A flashlight or laser pointer can be used for the demonstration. Includes an Activity Guide. 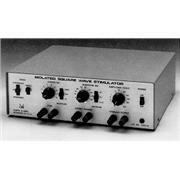 This device demonstrates the generation, propagation, reflection, interference, and diffraction of waves. It comes with all accessories necessary for these experiments. 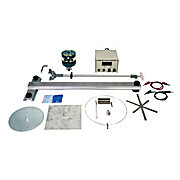 A 6VDC power source and an overhead projector are required (not included). Instruction manual included. 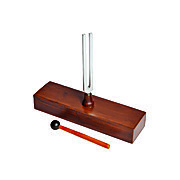 Each unit consists of a wooden resonator box, tuning fork, and a tuning fork mallet. Resonator box is 18cm x 9cm x 5cm.